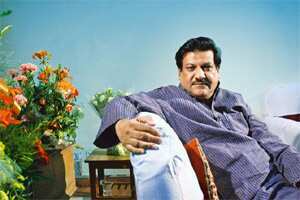 Prithviraj Chavan, chief minister, Maharashtra. Photo by indiatodayimages.com. There is a general perception that you are not taking any decisions, that files are not moving from your office. But once I got the hang of things, I concentrated on taking decisions on policy level, which were pending for a long time, or initiate new policies, and kept files regarding personal work on the back burner. There is no harm in clearing files regarding personal work if everything is according to rules, but the files would not have come to me if everything was as per the rules. So as these files are not a priority, I kept them on hold because of which some people started spreading the word that I am not taking any decisions. The new policies on textiles, industry and tourism etc., are ready and they will come now before the cabinet very soon. I cleared the policy regarding higher floor space index (FSI) for Mumbai suburbs; an issue of shrub forest, which is a major obstacle for projects in Vidarbha was pursued with the Central government’s environment and forests ministry and it is on the verge of getting sorted out. How difficult has it been managing a coalition government? I worked in a coalition government at the Centre and saw the running of a coalition from close quarters, but the big difference ...is that at the Centre, one party is dominant and other parties have much smaller strength.... Here we are almost equal partners and this brings altogether different dynamics in play, but the good thing is that we are basically from the same stock and belong to the same Congress culture. There is another general perception that Maharashtra has been left behind by Gujarat when it comes to attracting industrial investments. India Today’s report on the state of the state puts once again Maharashtra at the No.1 position and calls it the most reformed state. It is the eighth or ninth year of the report, and for the last two years, we did not figure anywhere in the rankings. I don’t want to take credit, but it is a result of what we in the government, which includes ministers from both the Congress and the NCP, and bureaucracy were trying to do for the last three-four years. Yes, we lost certain big-ticket investments like the Nano project of Tata Motors or Maruti’s third plant to Gujarat but still today we are No.1 in attracting investment. Recently we signed eight memorandums of understanding (MoUs) with investment of at least Rs500 crore each and it included big international brands such as GE and Corning etc. And 32 such MoUs are in the pipeline. And to attract the Nano project, the Gujarat government assured Tata Motors loans at the rate of 0.1%, equivalent to the investment made by the Tatas in the project, and these funds are to be provided from the state budget. We don’t want to provide loans to corporate (entities) almost free of cost from the state’s budget and divert money from infrastructure and social welfare projects. And Maruti was clear that they need port connectivity and Mundra offered them this connectivity...unfortunately, port projects in the state have not taken off, but we are in talks with them for setting up ancillary units in the state. One major concern of the industry, especially automobile industry, is the issue of value-added tax (VAT) refund. It is still not resolved? Yes, VAT refund is a ticklish issue and we are making all efforts to arrive at a solution which is in the interest of all stakeholders and it will be resolved through the new industrial policy. There is also an impression that many projects are getting stuck or promoters of the project are victimised because of their links to one or the other party in the coalition. It is said the Lavasa project was halted because of strong links of the company’s promoters to Union agriculture minister (and NCP leader) Sharad Pawar. I strongly refute this charge, and we have never targeted any project or corporate house because of its proximity with any particular political party and leader and it will never be done in the future also. Then environment and forest minister Jairam Ramesh was passionate about his ministry and work and had strong views about certain issues. When alleged violations at the Lavasa project were brought to his notice, he ordered a probe. And when the probe confirmed these violations, the issue was whether you treat these violation with kid gloves because someone is close to someone or should we allow the law to take its own course, and Ramesh allowed the law to take its own course. A lot of Mumbai infrastructure projects are stuck and seem to be going nowhere. The Worli-Haji Ali Link project is a classic example. After you took over, you mooted the idea of a coastal road. Work has started neither on the coastal road nor on the sea link. Under present environmental norms, a coastal road is not possible, but we are pleading our case with the environment ministry that for constructing a ring road around Mumbai, a coastal road is the most suitable option... We are confident we will be able to convince the environment ministry about it as we have done in the case of the Navi Mumbai airport. And we are not saying no to the sealink project; the company which has got the project can go ahead with it. But the demand for change in terms and conditions from the original tender document by the company is the thorny issue. Due to issues regarding land acquisition, projects such as the second line of the Metro railway and Mumbai airport are delayed and we are trying to resolve these issues as fast as we can. And in the case of the Mumbai Trans Harbour Link project connecting the island city of Mumbai and Nava-Sheva across the creek, twice we floated tenders but our attempts did not fructify. Now work has been handed over to the Mumbai Metropolitan Regional Development Authority (MMRDA) and (we are) hoping that this time we will have a successful bidding process. And recently I made a presentation to Prime Minister Manmohan Singh about various infrastructure projects of Mumbai and asked him that the Central government should declare some or all projects as national projects and give a substantial contribution, as building infrastructure for Mumbai is building infrastructure for entire India due to the special place of Mumbai in the country’s economy. This will expedite these projects. There seems to be no headway in the 13/7 Mumbai bomb blast case in which 27 people lost their lives. The police have definite leads about the case but we don’t want to make one or two arrests and alert others and help them to go into hiding. We want to get to the bottom of the thing and arrest everyone—from conspirators to actual planters—so the police are closely following on the leads that they have.